Roxbury Township is a charming suburb of 25,000, located in Morris County. North Jersey is full of verdant parklands, and Roxbury's neighborhoods are lush with green pines and oak trees. Any home seekers who are raising a family should note that it in 2011 it was ranked by the ING Corporation as one of the "100 Best Communities for Young People." 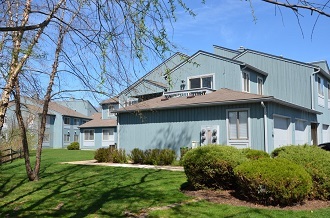 Roxbury, NJ homes for sale are available in a number of styles that any home owner could love. There are single- and multi-family homes, lovely town houses, restored Victorian homes, modern condos and more. There is a home for just about any budget and lifestyle. The neighborhoods of Roxbury are Succasunna, Kenvil, and Landing. Landing is on Lake Hopatcong, and has homes right on the lakefront or with views of the lake. There are also wonderful homes available in the townhouse communities of Drakesville, The Meadows, Willow Walk and Pondside Manor. As with several other Jersey towns, Roxbury was a key hub of the Revolutionary War effort. It was an iron mining center that supplied George Washington and the Continental Army with firearms and equipment. It wasn’t until 1798 that the town was officially incorporated by the legislature of New Jersey, and the building of the Morris Canal in 1827 spurred the growth of transportation and business. Roxbury came to be known as a gateway to the popular resorts of Lake Hopatcong, and Tom's Diner was featured in Cyndi Lauper's "Time After Time" video. 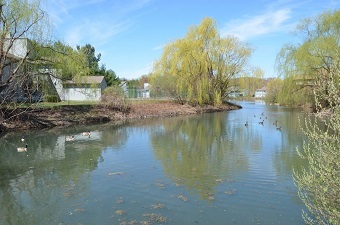 One of the best parks in the area is Horseshoe Lake Recreation Complex. which has a swimming area, courts and fields, a running path and the Imagination Station playground. Lakewood Park and Morris Canal Park are adjacent recreational areas with lush forests and fishing and hiking trails. Lake Hopatcong has fishing and boating, and Budd Lake is also a short drive away. Nature lovers will also love the rustic, authentic period look of Jockey Hollow in the Morristown National Historical Park. Golfers can take the short drive down to the Flanders Valley County Golf Course, which rates 4 stars from Golf Digest. For those who love shopping, the Roxbury Mall in Succasunna boasts more than 700,000 feet and all the amenities one needs, from clothes and home supplies to a multi-national food court. There are also the attractions of neighboring towns like Budd Lake, Morristown and Mt. Olive, and New York City is just a 45-mile drive away. The homes for sale in Roxbury, NJ are an attractive mix of styles. Anyone looking in the Roxbury market should call Maryann Johnston, 201-924-6451, as soon as possible. She's an expert New Jersey real estate agent and has a pipeline on the best property deals. The homes for sale and excellent amenities make Roxbury a fantastic place to live.